Maltese lovers, speaking for lovers of all tiny dogs, have asked nationally-renowned veterinarians W. Jean Dodds and Richard Palmquist, and the American Holistic Veterinary Medical Association Foundation, to study the results of giving 1/2 mL vaccine doses of parvovirus and distemper to toy dogs. Many veterinarians report having safely given toys small doses for years but the efficacy of small doses hasn’t been formally proven. Manufacturer’s test full dose vaccines only, generally on Beagles. We hope you’ll help us protect tiny dogs with a donation to help fund the study and will spread the word far and wide. Over the years, devoted toy breed dog owners have wondered why our tiny balls of fluff receive the same dose of vaccine as large breeds. 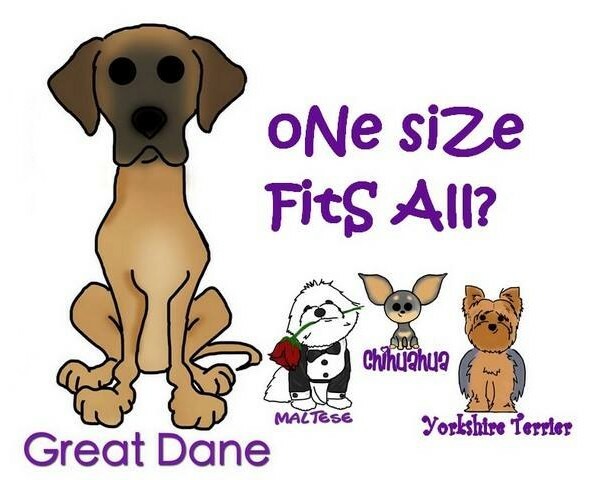 It doesn’t seem to make sense that a five pound Maltese or Yorkie should receive the same size vaccination as a 120 + pound Great Dane! And we wondered if this is why we tend to see more adverse reactions in toy breeds, as well as autoimmune issues. We don’t know, and the veterinary field isn’t clear on this either. We hold our breaths every time we have to have one of our pups vaccinated. Vaccinations protect against illness, and are an important issue in veterinary care. But we need to learn more about their proper use. We want our Maltese protected, but we don’t want to cause harm by giving a vaccine that is simply too much for their diminutive size. So as a group we asked the AHVMA Foundation, whose mission it is to support research and education in integrative and holistic medicine, what it would take to study the efficacy of body-mass based vaccinations; specifically, giving reduced vaccine strengths to toy breed dogs. Dr. Jean Dodds has agreed to conduct a small pilot study to explore this idea. The pilot is estimated to cost $5500 and is the first step in determining whether we can lessen the severity and frequency of adverse reactions to vaccinations in our tiny pups by reducing the actual vaccine itself. To download a donation form and pay by check or money order (or by credit card offline, including Discover and American Express), click here. I’ve always had very small Yorkies and Malteses. While living in Connecticut, my vet a well-known follower of Martin Goldstein, DVM who authored the book “The Nature of Animal Healing”. My vet agreed with Dr. Goldstein that yearly vaccinations were comparable to chemo therapy and was detrimental to animals – big or small. Since that time, I do not vaccinate any of my dogs – big or small, except for what is required by law – rabies (which I think lasts for the lifetime of a dog and it’s ridiculous to re-rabie shot a dog every 3 years, but I do it). My yorkie is now almost 17, is 4 pounds, and is fun, runs around fast and furious and has a great life. My Maltese is almost 15, and while, slowing down, still enjoys walks and eats and barks when she wants things. My other dog is a rescue and he’s 9 and is a Wheaten Terrior. I do not know what they gave him when he was a baby, but he is a fun dog, loves to swim and play in the snow and take his walks. All of them enjoy the rides to anywhere and are good around people. My vet is wonderful and he doesn’t hassle me about shots for my dogs. However, his staff frequently tells me that my dogs NEED vaccinations and they are not happy when I refuse. I feel anxious when I go there b/c I don’t want to argue about my dogs and their “safety” regarding vaccines because I know I am right and that vaccinations are the “life blood” of veterinary hospitals. I walk out of one if they “require” vaccinations when I move into a new area. I just stumbled across this message and wondered if the study by Jean Dodds has been completed and if so, where can I find her report? Judy, Dr. Dodds’ study is just beginning. She’s in need of donations, large or small. It should take 6-12 months for results. The link provided in the article allows you to donate to AHVMF. I would like to donate directly to the vaccine study. I there a way to earmark the funds so they go to the intended purpose? very interested in this…my maltese it a puppy mill rescue with Immune mediated Thrombocytopenia. My vet thinks its from over-vaccinating when he was a young pup. Barbara, your vet is likely right. Not only over-vax when your dog was young, but since then as well if your dog continued to get vaccines. Please check out the links in the original post. As Mom to multiple Maltese, I wish you well. Had a litter of puppies (4 Shih Tzu Puppies) vaccinated with a 4 way vaccine (NOBIVAC (DHPPi), first dose at 9 weeks of age, however I found out that it was EXPIRED after reading the baccine label sticker placed on the vaccinationrecord! The veterinarian admitted to the mistake. Ine of my puppies died exactly three weeks after with sudden onset of weakness and pale gums. May I ask from your experience on Vaccine Adverse Events what may have possibly happened to my puppy? If course the vet refuses to take responsibility for her gross negligence. Worse of, she refuses to admit that it was the vaccine that causes it stating that EXPIRED VACCINES ARE SAFE! Would appreciate your input on this matter and some articles on accidental expired vaccine administration. Thank you so very much! Froilian, your first course of action is find out when the vaccine expired then contact the vaccine manufacturer. Tell them what happened and ask about the safety of the expired vaccines. If you didn’t do a necropsy on the puppy, it’s hard to say what happened. I’m not a vet. It certainly could have been the vaccine. Reactions can happen within minutes, months or years. File a complaint against your vet with your state’s vet board for negligence. Find a link at http://www.truth4pets.org/reporting-reactions/ At least you can make her life miserable. If the vaccine manufacturer backs you up, you can also go to small claims court. I have given my toy dog litters vaccines for 15 years. I have purchased the usual “nobivac” now, puppy progard in the past. I draw up into the syringe and then depress 1/2 the vaccine out (at least) I give 2 maybe a 3rd vaccine. Never had a problem, no HGE, Immune issues, Allergies, Cancer. They don’t get sick or sleepy from their vaccines either. Several of my dogs have gone on to be titered in years 3 through 5 by their owners and they still did not need to be vaccinated. (I never thought it made any scientific sense for a tiny 2 to 5 lb pup to get the same amount of vaccine as a 15 – 25 lb large breed pup. I am glad there is research underway, I think I know what it might show. Having just read this article, I am shocked. I bred, showed and trained large dogs for most of my life, and never knew that vaccines were dosed as a one size fits all. I am familiar with the argument about how often dogs actually need boosters etc. I was immediately struck by a problem with my own dog. I switched from large breed dogs years ago to my lovely Pomeranian, that is now 6. As a pup, I had her boosters done to finish her schedule of vaccines, when I noticed her behavior was very strange once we got home. She went from her bouncy fur ball self, to very statuesque, drooling, and would scream bloody murder if touched. After some time she came around and was fine. At her next vet visit, upon telling my vet what happened, he informed me that she had suffered from anaphylactic shock, Most likely from being so small, and has never been allowed to receive the distemper vaccine since. Great piece of information. I checked other links also about vaccination. Loved it. I’m sitting in my car as I have two of my dogs in the vet who suffered some kind of reaction to the rabies shot given yesterday. These two dogs are 4 yr old Chihuahua mixes that weight less than 10 lbs each I have another dog at home who didn’t receive this rabies shot and is doing perfectly well and is older (8 yrs old also a Chihuahua mix) I speculate foul play by the vets who handled these dogs with the rabies shot and now I have to spend $1200 for them to be okay I don’t know what to do about having yesterday’s vets be responsible for the vaccine that caused this. Can anyone please help? Miguel, rabies vaccines are very hard on small dogs. Did the dogs have any other vaccines at the time? Why do you expect foul play? What happened? And why is treatment so expensive?